The Jenkins Foundation is pleased to announce support of 16 local nonprofits with $940,000 during their spring cycle. This includes multi-year support to CARITAS for the Healing Place for Men and Women and the Virginia League for Planned Parenthood for their East End clinic. The Jenkins Foundation is focused on providing equitable access to primary care and mental health care services, as well as preventing and treating substance use disorders in the Richmond region. The result is a more efficient health care delivery system and a safer, healthier and more productive Greater Richmond community. 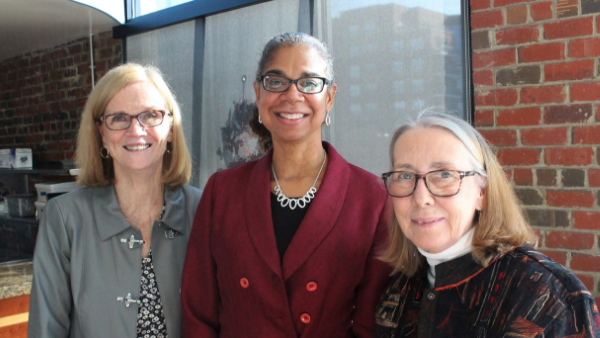 New 2019 Jenkins Board Members Susan Davis,retired Sr. VP of Community Engagement at the Community Foundation; Nadine Marsh-Carter, CEO of Children’s Home Society; and Connie Pechura, Ph.D., retired executive director of the Treatment Research Institute in Philadelphia. $40,000 to provide specialty medical care to the uninsured. $40,000 to support medical case management and access to health education for elders who wish to remain independent in their homes. $50,000 to support Medical Respite staff in providing quality healthcare to vulnerable homeless individuals. $50,000 to support the Early Childhood Development Initiative. $50,000 to fund a second Health Educator position in the Richmond Integrated Community Health Clinic. $25,000 to provide case management for Donated Dental Services and assist the coordination of free dental clinics. $20,000 to support the training and supervision of volunteer child advocates. $50,000 to help children build resilience to trauma by providing access to outpatient Mental Health (MHS) and Immediate Response (IR) services. Greater Richmond SCAN (Stop Child Abuse Now) Inc.
$50,000 to provide intensive, trauma-focused mental health treatment for children and caregivers. $20,000 to support training for at least 20 new volunteer advocates to serve abused or neglected children. $50,000 to support family navigation services that connect families to mental health services in Virginia. 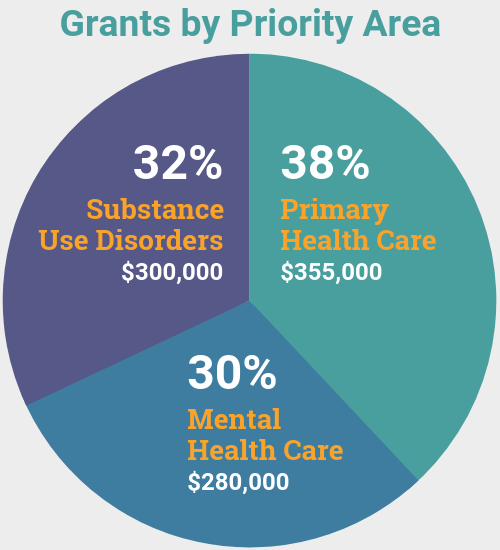 $30,000 to implement and evaluate new Trauma-Informed Care efforts. $10,000 to support free, monthly Youth Mental Health First Aid Workshops. $50,000 to support mental health services intake for survivors of intimate partner violence. I applaud the Jenkins Foundation for their gifts to help people get the medical help and support they need. I especially want to thank them for their gift to Planned Parenthood. These days PP is under a great deal of stress from misinformation and people only seeing one thing: abortion. As a teenager (50+ years ago), I went to PP for birth control – it was not something I could ask my mother about, nor our family doctor. From my perspective PP helps prevent teen pregnancies, provides women’s health needs and helps to prevent (or treat) diseases. Thanks for supporting Planned Parenthood.